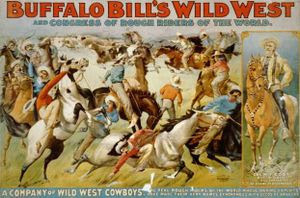 I've been doing some research on Buffalo Bill for a story I've got in mind and I was amazed to find that in 1904 his Wild West Circus played in Aberdare, a Welsh valley town that is only ten miles away from me. It seems incredible to me that Bill, Annie Oakley and others walked the same roads as I myself. I'm trying to find out anything I can about the visit, speaking to some old guys from the village. And one man say's his grandfather told him of seeing the show. He's got an old photograph of his grandfather, twelve years old with the great cowboy. I'm going up to see it tomorrow and will scan it for a future post I've got planned on the Wild West Circus' time in South Wales. I've written to the local newpapers to see what material they have in their archives and I'm quite excited about this. 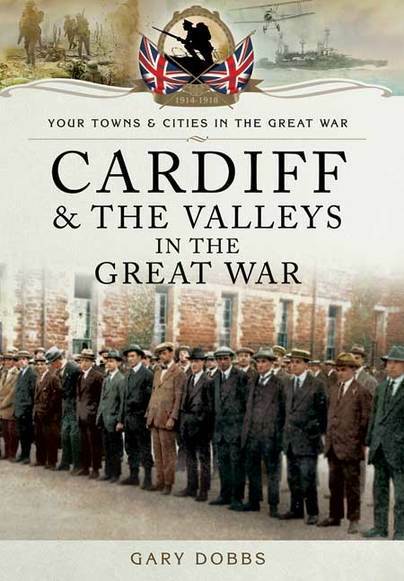 Imagine what it must have been like to be a twelve year old valley's boy in 1904. 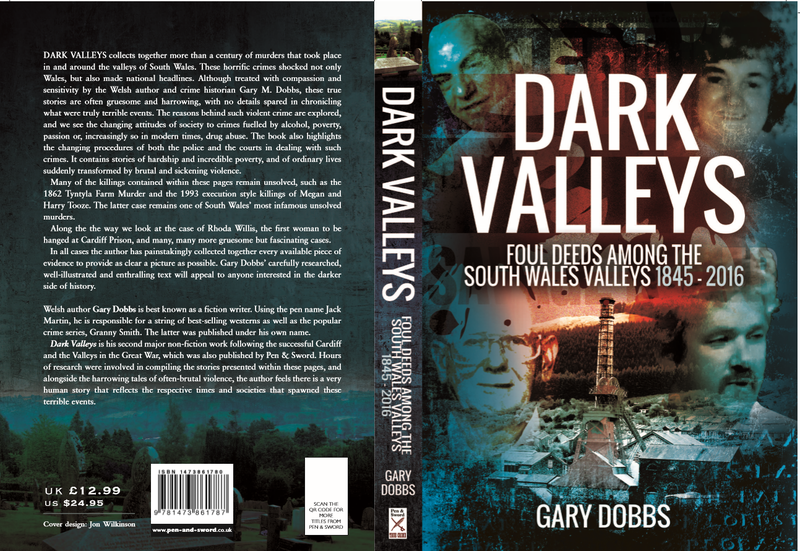 Then the valleys would have been eternally grey - rows of terraced houses carved into the mountainside, mountains blackened and scarred from the endless excavations for coal, rivers that ran thick and black like tar. Everything - the cobbled streets, the shops, the people even would have been covered in a thin dusty residue which was the result of the thick black smoke the numerous mines pumped into the skies. Buffalo Bill must have glowed. 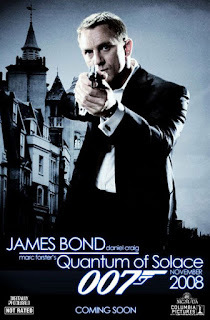 Quantum of Soulless, Graham Rye called it in his review and that doesn't bode well considering he is a well known fan and president of the James Bond fan club. He went on to score the film 1/10. 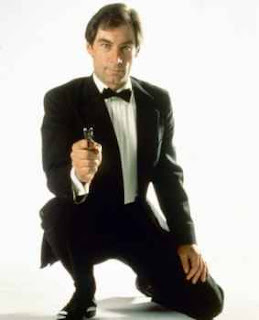 I, a lifetime Bond fan, went to the cinema tonight and walked out after about forty minutes - The film is boring and has gone so far down the Bourne route that this doesn't feel remotely like a 007 adventure. I've seen every movie at the Cinema in its week of release since Moonraker and I won't be going again unless they do away with this new direction and get back to real James Bond. I was one of the few people not buying into the Casino Royale is wonderful camp - I said then that this was not real James Bond and no, Daniel Craig, is nothing like the character of Fleming's novels. Given time I believe that Casino Royale's massive financial success will be seen as something like the emporar's new clothes. Reinvention and making everything uber dark might work for Batman but it has no place in a James Bond movie. 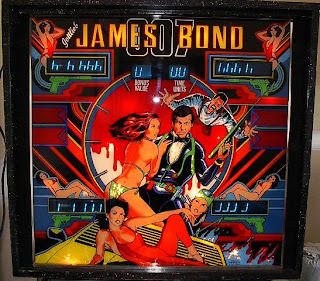 The film doesn't even start with the Bond theme - I believe it gets played at the end but can't say for sure as I wasn't going to sit through this flashy trash in order to get some semblance of the movie character I have grown up with. This film is so bad that, if the film makers don't pull a reversal and bring back the celluloid Bond that has always been a success then it could be the end of the franchise. Much has been made of Daniel Craig's gritty realistic perfomance and whilst he is the best thing in the film he is terribly mis-cast. He'd made a great classic Bond villain, though. Since Cubby , always the guiding hand in the franchise, passed away it is criminal the damage Michael Wilson and Barbara Broccoli have done to the series. It's all very well banging on about reboots and bringing realism in but you've got to understand what makes the franchise work in the first place. These two clearly have no idea. 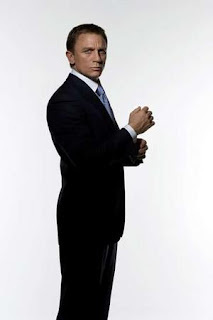 Casino Royale was more Bourne than Bond and Quantum of Solace moves even further into Bourne territory. George Lazenby will be able to breath a sigh of relief - no longer will he be remembered as the worse Bond. 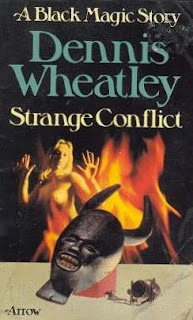 As this is Halloween I thought it would be a good time to look at the one-time horror master, Dennis Wheatley.Currently his books are all out of print - strange, given that he was a big seller for over four decades with total sales of his books topping thirty million. And yet, these days he is completely out of favour. And this despite the fact that his books are chillingly well researched and I've yet to be disappointed by a Wheatley novel. 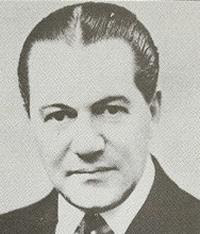 Wheatley was born in 1897 and enjoyed a good education suitable to his middle class upbringing. During the second world war he served as a Wing Commander. Even during this period he was able to produce prolifically which was something which would stick with him for the rest of his life. He wrote in many genres - romance, adventure, historical, war thrillers but it is for his occult novels, that began in 1935 with The Devil Rides Out. A sequel Strange Conflict followed in 1941 and then in 1948 he produced the Haunting of Toby Jugg. 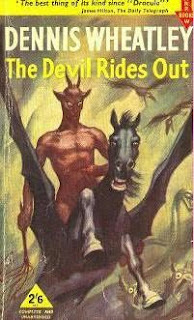 Many more occult themed novels followed and his all time bestseller was 1960's, The Satanist. 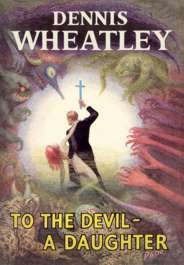 In 1973 Wheatley approached his publisher, Hutchinson with an idea - he wanted to edit a series of books by other writers that would go under the collective - Dennis Wheatley's Library of the Occult but the publisher declined. At that time Sphere books were looking to build a bigger horror list and so they decided to go with the project. The series was to embrace both fiction and non-fiction. 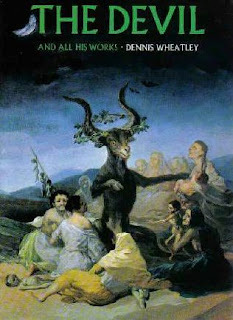 The Dennis Wheatley Library of the Occult was intended to be the definitive work on the subject of the paranormal. 42. Pedro McGregor - Brazilian Magic: Is It The Answer? 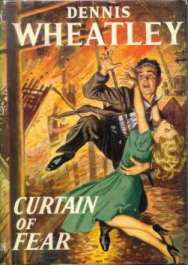 In his day Wheatley was the horror author - he summed up the genre in the way Stephen King does today. And his books are well worth checking out - he was never too bothered with getting the technical details correct but he was a master at telling a good exciting story. And isn't that the main ingredient of a good book? In a speech in Springfield, Mo . 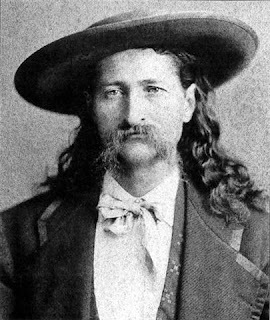 in July Barack Obama claimed that he was the sixth cousin, six times removed of Wild Bill Hickock. Obama said -'Family legend states that Wild Bill Hickock and I share common ancestry with Dutch immigrant Thomas Blossom." 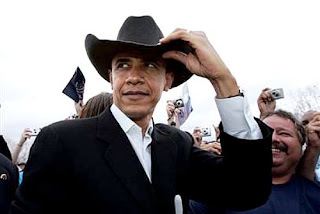 The New England Historic Genealogical Society have confirmed that Obama and Hickock are sixth cousins. However it must be pointed out that Hickock was a staunch Republican. And the research into Obama's family tree also revealed that the politician and Brad Pitt are ninth cousins. Over here in the UK we've had no much coverage of the US elections that I wish I could vote myself. Weider Group are to publish 100 Greatest Westerns this coming winter which is a massive, picture filled review of what they consider the top 100 horse operas ever. The Black Horse western website, Black Horse Extra will post the latest edition of its online magzine, Hoofprints sometime in November. There's a wealth of interesting features and also the first mention of Jack Martin (yours truly) on a Black Horse Western website. WH Smith and VinersUK Books. Tony Hillerman author of a string of modern day western/crime novels often featuring the Navajo policeman Jim Chee has passed away. 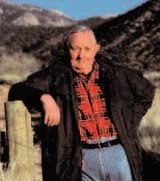 Award-winning Western author Tony Hillerman died Sunday, October 26, 2008, of pulmonary failure in Albuquerque, N.M. He was 83. Hillerman. I'd only just discovered the author and raved about his novel, The Ghostway earlier this year. There was a time when all kids played with Cowboys and Indians - well this Christmas UK supermarket Tesco's are carrying a line of cowboy and indian toys. 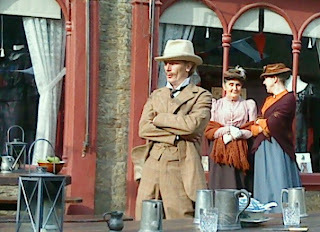 Think I might put one of their saloon shoot out sets on my own Christmas list. A few people have asked for more posts concerning my life as a bit-part actor. Now that's fine but I'm limited to what I can say about current productions and so I thought I'd speak about a stint I did on Doctor Who several years ago. 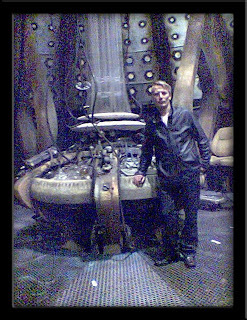 (Pictured - On the bridge of the TARDIS - it was surreal standing here for someone brought up on the show. My agent sent me for the casting - the part: an American suffering from the effects of the Great Depression who is kidnapped and held in the sewers beneath Manhattan by the Daleks. It was a reasonable part, only the one line but over 20 minutes of screen time and some nice action scenes. Racing through the sewers, the Daleks in pursuit was a brilliant experience and made me feel like a ten year old boy again. So I'm cast, hair cut in 1930's style and then together with fellow actor, Levi Summers who plays a friend of my character, I find myself on the Doctor Who set where Manhattan has been recreated. This was David Tennant's second season and by this time he'd really grown comfortable with the role and was giving the type of performance that has made him, for many people, the definitive Doctor. Now some of the big name actors (no names given) can be odious self serving prats but David is one of the nicest guys you could hope to meet. He's great fun on set and always getting involved with whatever is going on during the long periods of hanging around between shots, but as soon as the shouts come - "Sound Speed" "Action" he is into character. I particularly remember one day's filming - Doctor Who had been awarded the best TV Drama and at the awards ceremony David had recived the award from Julie Andrews. He was star struck by this and kept mumbling, "Mary fu****g Poppins" obviously in awe of the legendary actress. That was refreshing - David is quite a big star himself. Now today it's been announced that David will retire from the role at the end of next year and so the search is on for the new Doctor...Er, what about Gary Dobbs. Below is a short video of my clips. a long day filming in cold weather - standing around all day in the sleet and rain ain't much fun. (Pictured - Mr Stokes (me, you know.) freezing my arse off even if it does look like the sun is shining in the picture. Mind you I did pass an hour or two getting into Larry Mcmutry's Buffalo Bill biography. 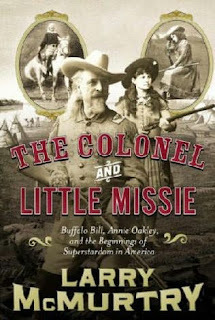 It's a rather fascinating book looking at Buffalo Bill from the angle of super stardom. Seems the old frontier man was the Elvis of his day. I'm gonna take a long bath and then settle into bed with the book. Arrange the lamp just right, plump up the pillows and indulge in a nice fat Cuban cigar and a bottle of Merlot. I first started this blog to coincide with the sale of my first western novel - I thought it would be a good way of publicising the book on the cheap. But gradually I became addicted and I've posted something mostly every day since starting. When I'm writing and I hit a rough patch, I open up the Tainted Archive and start a post and before you know it I'm back to the current project I'm working on. 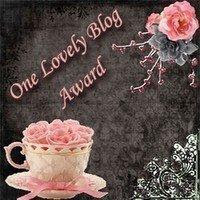 I find the blog a useful way of kicking writers block. Course I sometimes spend hours browsing other blogs but that can be inspiring too. Anyway recently I found a great tool that records a blog stats - you can check where in the world people are logging onto your blog from, the number of daily visitors, which is the most popular post and loads more. I've printed my stat gra ph for this past week here. Incidentally yesterday's post got the highest one day stat thus far. Anyone who wants their own stat counter scroll down to the counter in my side bar and click on it. You'll have to register your blog but it's all easy and more to the point free. If I, a man who recently deleted his address book and once telephoned a PC shop to ask where I could buy a new driver that my PC said it needed, can get it working then anyone can. 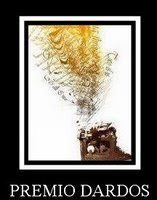 Western writers put their characters through the mangle, make sure they face ever more dangerous obstacles, risk life and limb many times before the thrilling denouncement when the story winds itself up nicely. But for Jack Giles, pen name of Ray Foster, a writer with the excellent Black Horse Western range from Robert Hale LTD, his personal battles were every bit as inspiring as the best western story. In 1999 Ray suffered a stroke - nothing major, he told Writers Forum magazine, but it had left me weakened down my left side. Worse was the memory loss and short concentration span. Typical modesty from the writer - the stroke had actually left him thinking it was 1969 and yet all around him were strange objects - CD players, computers, huge colour televisions. The fact that he also had six children and thirteen grandchildren must have been quite an eye opener. During the recovery process Ray took to reading to pass the time and one day got the shock of his life. He was reading a western novel when Sandra, his wife, told him that he himself had written it. He couldn't believe it and had to be shown a file of his old contracts. In fact Ray had written several westerns under his pen name of Jack Giles. All had been published under Robert Hale LTD's Black Horse Western imprint. Imagine it - he's only just getting used to the fact that the CD player is not an electronic toaster and he finds out he is a successful western writer. The discovery brought Ray mixed emotions - much joy but equal sadness that he couldn't remember having written the books. Still can't to this day. However Ray saw the positives in this - I could read my old books as a reader. Showing grit, that Rooster J. Cogburn would have been proud of Ray started writing again. His concentration span was limited and he had to make copious notes as he went along, to refresh himself after each writing session. He did a short story first, A Time to Live which was published in the highly regarded western anthology, Where Legends Ride. Next came a novel - an arduous task as Ray found he could only work in short bursts before his concentration wandered but by writing for several short bursts each day he found he was able to produce a reasonable number of words. 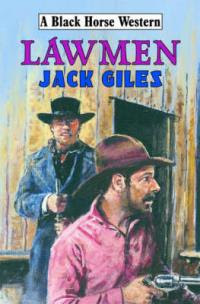 That novel LAWMAN was published by Robert Hale earlier this year and it's another excellent adventure from Jack Giles. Q - What do you think makes up the perfect western? A-A good to strong plot line that is well constructed and written. Also, it needs characters that can be believed in. Though there are books that do not have all the components and times when belief has to be put on hold because the sheer weight of the characters and the story telling carries the book. Q- When your write how much do you plan before hand? A - Good question. I'm a reader who writes so I never have an ending in mind. A story just starts and the characters move in their own way. The opening to 'Lawmen' is exactly as written with the dialogue taking place between my wife and myself. I wrote it onto the PC and the story began to form. As possible ideas form I make a note of them - sometimes they get used; sometimes not. At school the teacher would write something like 'The guard blew his whistle...' and we would have to continue the story. Or he would ask us to write a composition that included a line. I guess that nothing has changed when it comes to writing. Q- What advise would you give to would be writers? A- It is one of those things that no one else can do for you. I forget who did this but a well known author once said, when addressing a bunch of students, 'Who wants to be a writer?' A number of hands went up and the author asked 'Then what are you doing here?' That has rather stuck with me down the years. The best instruction manuals for learning how to write come from the books and authors that you admire. A- 'The Magnificent Seven'. It has a lot of depth to it and the dialogue is something else. Q -Favourite western writer and or book? A -Well, the bio says Louis L'Amour and George G. Gilman. But looking back I would have to add Frank C.Robertson and his book 'Horn Silver'. When I re-read it I realised that this book had real people in them - that there is good and bad in all of the characters. Q- Given the current state of the western genre where do you see things going in the future? A- As long as writers continue to write the genre will grow.Everything runs in cycles and the 'wheel of fortune' will bring the western back into favour. Q-What plans have you for future books that you'd like to share? A -There are two books on the PC at this time. One is being written in the first person as it deals with a man with memory loss and I found it difficult to do in third person. Using the first person in this instance works because nothing is revealed until the hero lets the reader know it. The other - I'm keeping under wraps - it began as a short story for short lived Great Western Fiction magazine and evolved from there. Q -finally what is it you feel that your own books offer to the prospective western reader? A - How do I answer this? Having a distinct advantage of never recalling that I wrote the books in the first place -it is easy to look at them from a reader's point of view. Four books stand out - 'Poseidon Smith:Vengeance Is Mine'; 'Rebel Run'; 'Coalmine' and 'The Fourth Horseman'. They are all different and were, to me, page turners.I would hope that anyone reading my books would feel that they had read a decent book with a good story. Also, I hope that someone would been encouraged to write. Q - Reading books you'd written and feeling essentially like a reader must have been strange. What was this like? A-Yes, it is a weird experience reading books that I wrote before my stroke. I think that the biggest shock came with 'Rebel Run' as there is a lot of American Civil War history in it. The Regiments mentioned were real Regiments - and the ending takes place during a real battle. It was the sheer depth of research that amazed me. If have a favourite then that book has to be in the running After reading that and Poseidon Smith I could understand why I would collect the Jack Giles books. They were an easy read and I got involved with the characters.Jack Giles was not an easy act to follow so 'Lawmen' may be a different style. In fact the original draft was written under a different name - because I was in two minds about continuing with the Jack Giles name. That author, I felt, belonged in the past and this book was a new start for me. 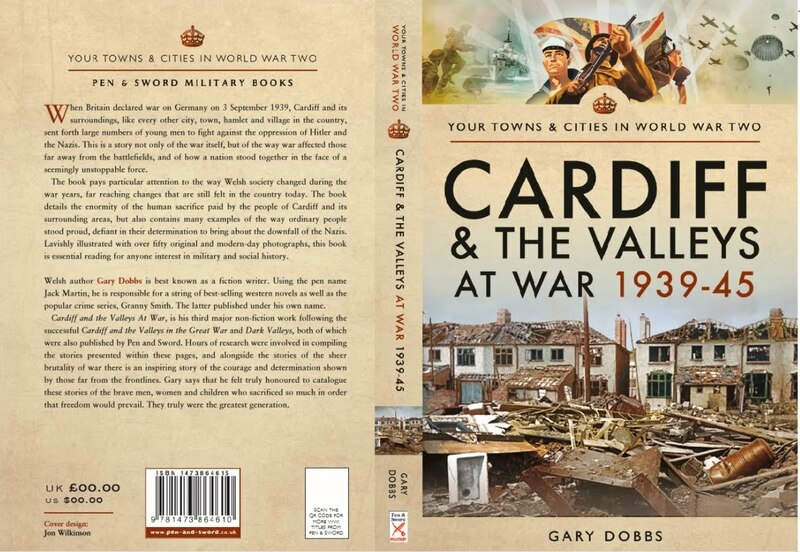 However, my wife Sandy, was there all through the writing and she read the final draft - her verdict was that I should offer it up as the work of Jack Giles.So it was with some trepidation that I sent it off to Robert Hale. To be honest I expected rejection but when it was accepted and I held that letter that welcomed back Jack Giles - well, I guess I must have learned something from those books. And so Ray continues to explore the dream scape of the west. The western genre has been pronounced dead more times that Sinatra had comebacks but it still refuses to roll over and give up the ghost. And no wonder when film makers and writers continue to explore the genre. 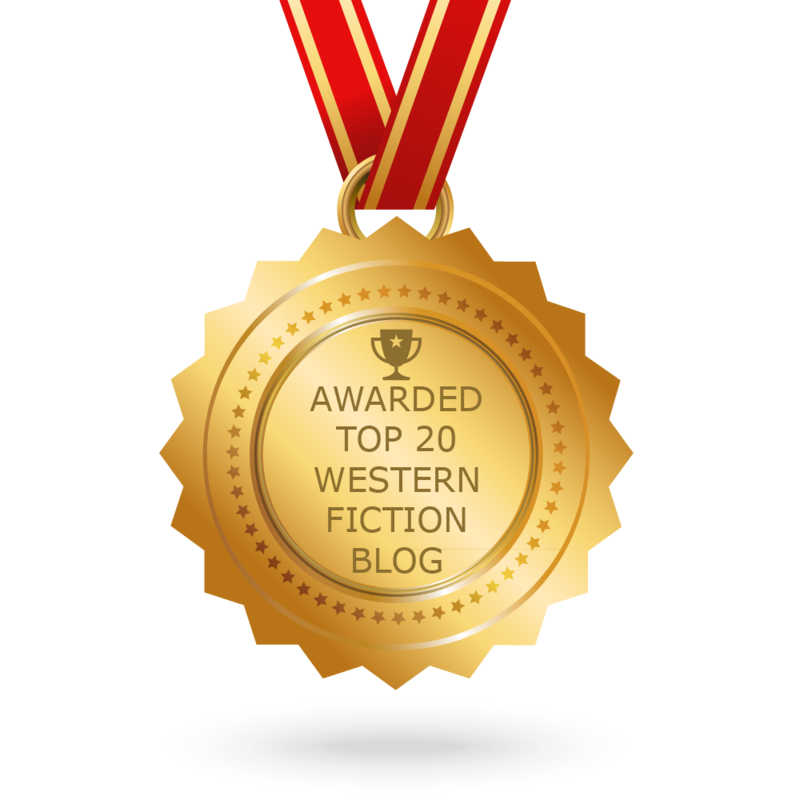 The Black Horse stable of dedicated writers continue to offer good quality, exciting stories set in the American West. Visit the Robert Hale website for details of their western range. Titles can also be bought in all good book stores or from online retailers such as amazon. The Lawman by Jack Giles is available from all good retailers and Amazon. Before looking at the final three stories in this massive western collection I'd like to feature some content from the books editor, Steve Holland. I mentioned in an earlier part of this review that it would be nice to have original publishing dates and artist/writer information. Well Steve has posted what information there is on his Bear Alley Blog - click on the side bar featuring Steve's books relevant to High Noon. I'm been in correspondence with Steve recently and asked him several questions relating to this collection and the western genre in general. open things out a little. they would be collected in prestige editions all these years later? Q- And for fun what's your favourite western movie? in "Stagecoach". They're the ones that immediately spring to mind. Keith regarding the forthcoming article. want people thinking this was a cartoon collection. And now on with our review of the final three st ories. is brooding and the action fast and furious. Davy Crockett returns in Ricaree. Not fancying the idea of marrying a squaw, Crockett instead elects to take the endurance test to see himself become a Ricaree which will enable him to capture Cannon without provoking an all out war. Crockett starts out on a series of tasks, each more dangerous than the one before. These involve being thrown into a torrential river with one's hands bound, racing two horses while bound between them and scaling a deadly mountain in order to get an eagle's feather. It's all very exciting and keeps up the high standard set by the rest of this collection . Kit Carson rounds off the book with the final tale - The Trail of Treachery. Kit finds himself pitted against Gilt Halliday and Rod Clanton as h e tries to help a wagon trail through hostile indian territory. This is a perfect story to end the collection since it contains all of the ingredients so important to a truly classic traditional western. It's all here - buffalo hunts, bush fires, full scale indian attacks and at one point Carson is captured by the indians who blame the people of the wagon train for killing the chief's son. 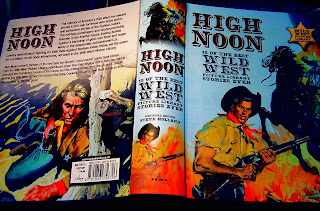 All in all High Noon is a brilliant collection, all the better for how rare it is that these old western tales are printed. One of the comments on an earlier part of this review said: now we can read the comics our father's used to read. And isn't that just wonderful! High Noon is a great collection of 13 tales drawn from the dim and distant past - reprinted larger than their original size they can once again shine. And boy do they illuminate a brilliance in retro storytelling of the mythical wild west we all grew up with. In conclusion I love this book and the selection of stories cover pretty much all of the genre conventions remembered from the B-movies and pulp novels. When these stories were originally written the second world war was not that far gone, Television was in its infancy, John Wayne, Gary Cooper and Roy Rogers were cinema stars, much of the once wild west was as it had been back in the day and that's incredible. 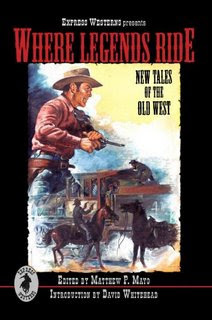 This book is not only great entertainment for anyone wanting a nostalgic view of the western but essential for anyone wanting to know more about the history of the comic book. I stated that I had problems finding the book instore but it is available at Amazon for a price cheaper than the cover price. So buy it - you'll be glad you did. update - Steve has published a piece, reproduced here, on his website which lists the writers and artists of these strip. 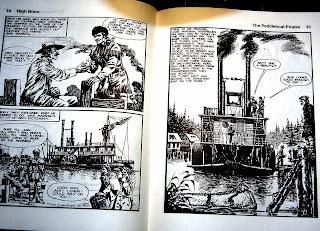 Davy Crockett & the Paddleboat Pirates (CPL 323, Sep 1959) Art: Gerry Embleton. The Gun Crew (CPL 439, Feb 1962) Art: Alberto Breccia. Kit Carson and the Man Who Hated Redskins (CPL 353, May 1960) Art: Jesus Blasco. Kansas Kid and the 'Frisco Racketeers (CPL 396, Mar 1961) Art: Gerry Embleton. 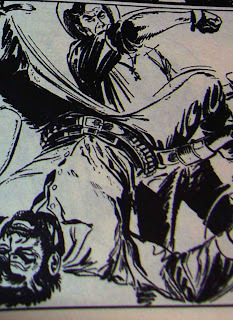 Buck Jones and the Apache Manhunt (CPL 402, May 1961) Art: Alberto Breccia. Kit Carson and the Cheyenn e War (CPL 389, Feb 1961) Art: Jesus Blasco. Kansas Kid and the Brand of the Double-D (CPL 332, Nov 1959) Art: Jorge Macabich. Davy Crockett and the Duel With Danger (CPL 331, Nov 1959) Art: Sergio Tarquinio. Kit Carson—Indian Tamer (CPL 349, Apr 1960) Art: Gerry Embleton. The Hunter (Buck Jones) (CPL 410, Jul 1961) Art: Alberto Breccia. Davy Crockett—Ricaree! (CPL 339, Jan 1960) Art: Gerry Embleton. The Trail of Treachery (Kit Carson) (CPL 401, May 1961) Art: Jesus Blasco. Before the fifth story, Buck Jones and the Apache Manhunt there is a three page feature called Wild West Scrapbook which is a collection of facts - one entry says that John Chisum, the cattle king of New Mexico always slept on a blanket on the floor. His expensive bed was just for show and much too soft for the outdoors man. Another tells us of the danger gopher holes would present to the cowboys on the range and were responsible for a lot of horse's breaking their legs. These little snippets were originally intended as filler material but they often offer quite priceless snippets of trivia. Which takes us into the fifth story - Buck Jones, Sheriff of Alkali City is dismayed to discover that a band of rustlers have been stealing cattle from the local Apache group. Worried that this will upset the fragile peace between the whites and the indians, Buck goes out to capture the rustlers before the indians start another war. The plot thickens though when the army sends out an assassin in the shape of old timer Virgil Salt to kill Black Knife who is leading Apache war parties in retaliation for the rustling. 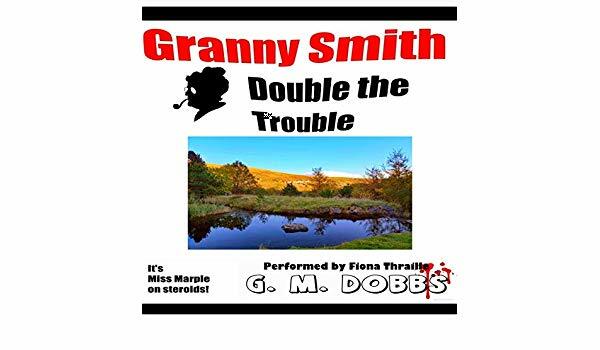 This story is a thrilling adventure featuring outlaws and indians there is a sub-plot running through the narrative about growing old and becoming useless in a hostile land. This is another of the longer stories, split into chapters, and provides a great read. There also indian trouble in the next story Kit Carson and the Cheyenne War. This one's sees a new commander come into the fort and Carson is dismayed to find that the man is an indian hater and wants to stir up a war so he can claim more indian scalps. The strip unfolds in the usual pacey fashion and there is much action as Kit Carson goes between both sides in order to prevent a full scale Cheyenne war. As in evident from the images here the artwork is all incredibly detailed and yet the guy's drawing these pictures were jobbing artists who had to turn work out at supersonic rates in order to make ends meet. Quite often an artist would be working for two or three publications at the same time. 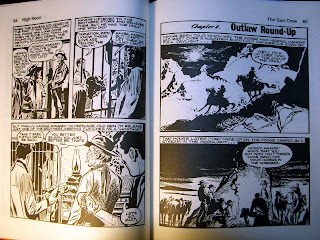 The writing is also top knotch and the fact that the Wild West Picture library were the one story each issue spread over the entire digest sized book meant that there was room to tell a good story. This story is surprisingly violent in sections. The scene where the army commander starts off a war by whipping an indian chief is a case in point. In his introduction to the book editor, Steve Holland, talks about the days when Buck Jones, Tim Holt and Gene Autry were the western stars of the silver screen. And these tales are all of the ilk that could have fitted into the confines of those old B-westerns. There are never any shades of grey. The good guys wear the white hats and the bad guys the black. And a redskin could never win against a white and were made to do what the white man told them because he knew better. It may be simplistic by the standards of today but if the reader can get in the correct mind set then this book provides some thrilling western reading. Next up the Kansas Kid returns for the Brand of the Double D .
Unlike Buck Jones (played by Charles Gebhart in scores of movies) and Kit Carson and Davy Crockett, the Kansas Kid was a wholly fictional character created in the pages of Cowboy Comics which, for many years, was the most successful western comic in the UK. Buck Jones returns in the next story The Man from Montana. Another all action story starring the silver screen's tough cow hand. I noticed from this story that the artwork is darker than the tone used in the rest of the book and on the art stakes it is one of the stand out storys. This is followed by another of the Wild West scrapbook features. This time a four page section with some good, I didn't know that, snippets. And then we are straight into the return of Davy Crockett and the Duel with Danger. This is very much the Davy Crockett from the Walt Disney action movie, King of the Wild Frontier. A tall heroic man wearing a coonskin hat and carrying a musket and not the complicated and often cruel loner and patriot that he was in reality. Thankfully the setting for this story is much more traditional than the Crockett story that opened the book and, to my mind, works all the better for it. If I want to read Crockett I want him out on the wild frontier - befriending good indians and taking on hostile ones, battling the dangers of nature, exposing crooked soldiers, prospectors etc and basically making sure all is right with the world. Thankfully this tale is of that ilk and provides a rollicking, boy's own adventure in the early days of the West. The next story Kit Carson Indian Tamer gets my vote for the best art of the entire collection. Click on the image from this story to see the frames in full size and marvel at the incredible detail in the shading of the black and white images. Carson himself, in this story, looks like a world weary man and the entire tale has a very sombre tone. The story sees the Tonto Apaches in a state of transition. The great chief, Yellow Shirt has died leaving the tribe leaderless. There are braves who want to take his place including Burning Lance, Yellow Shirt's son, who has a hatred of the whites and wants to see his people become warriors again. Most of the tribe think they need to make peace with the whites now that the great chief is dead but his son is furious and says that his father's war against the white invaders must continue. 506 pages in and there are still three more stories to go - at £14.99 this book really does offer value for money. I had intended to feature the remaining stories in this review but the piece is getting longer than I expected to come back for High Noon Part Three in which I will look at the last three stories and then sum up the book as a whole. I've been eager to get this book - I love comic books and it's been years and years since I've been able to buy a new western comic book, apart from the odd western centric Commando title of course. I visited Borders for this on the day of publication but they didn't have it. Strange when they had other titles from the publisher out the same day. Maybe they think western titles - even comic book ones - are out of fashion and won't sell with the graphic novel buying audience. If so they are fools - this book is aimed at the adult reader yearning for nostalgia and there are loads of us who'd want this book. I know of at least ten other mates who are going to buy it. I started to nag the editor who runs the brilliant BEAR ALLEY BLOG and he said sometimes it may take a few days for titles to filter through to the shops. They don't understand - As soon as I heard of plans for this book months ago I've been longing to get in into my hands. Several more visits and still nothing and in the end I ordered from Amazon. I've got it now but am disappointed that it wasn't available in store. I really want this title to do well so there are more and more volumes. Westerns and comic books are two of my favourite things. Given that I want to cover each and every story in this volume I have decided to split this review into two parts. So on with part one. The cover's a bit naff - the fellow with the yellow shirt looks like he's been badly photoshopped in and seem out of perspective with the rider on the reared horse behind. The yellow shirt guy is also on the spine but works better placed here. The back cover picture is okay and sums up the danger and excitement of the comic book wild west. That's just a minor niggle but the cover doesn't come across as well deigned as Steve Holland's War Picture Library collections. With comic books the art is half the story after all. A more serious moan is that the book doesn't contain original publication dates nor artist and author details. I know the writers and artists were not credited in those days so perhaps the information was lost to time. I recognised some of the art as similar to that seen in both Battle and Warlord comics so the artists here must have been jobbing around a lot of publications. There are 13 stories in all and following a great introduction from the editor we are thrown into the thick of the action with the first story, Davy Crockett and the paddleboat pirates. To my mind this was the weakest story in the book as it's not western enough. Apart from the inclusion of Crockett, a western icon, the story is basically a naval battle tale. It's a good story but could have been left out in favour of a more traditional Crockett strip. Still I enjoyed it and it does add variety to the mix. Next up, The Gun Crew, is excellent. Two brothers Fletcher and Martin Lane are part of a posse in pursuit of the vicious Keegan gang. The brothers have more reason than most for wanting to stop the gang as they were responsible for the death of their folks. When the posse are forced to turn back after the gang robbed their replacement horses, the brothers go on alone and are soon working for the Kansas Kid crew gathering cattle after learning that the gang are to rob the town bank after the cattle crews pay their money in at the end of the season. This story is the traditional western in its perfect form and contains some great gunfights, stampedes and a final thrilling showdown in the Hollywood style. There are some evocative scenery shots and moody character scenes within the black and white frames. Shows how skilled UK comic book artists (who unlike their American counterparts didn't have colour to play with) were in using shadow and shading to create atmosphere. The writing style too is pacey and typical of the British writers of the period. I'm guessing these tales come from the mid to late Seventies as I recognise some of the styles and I was a voracious comic book reader back then. Kit Carson and The Man Who Hated Redskins is the third offering. When the army captures Swift Arrow, son of Cherokee chief Many Clouds, Kit Carson says they should let the young brave go as they are on the verge of peace with the indians. However Colonel Dexter refuses and then his own son is kidnapped by the Cherokee. The Colonel is willing to deal a son for a son until a riverboat trader comes in and informs the colonel that his son is dead. Kit Carson doesn't trust the trader and feels he is provoking an Indian war for his own ends. Carson goes renegade and finds himself at odds with both the army and the indians as ne battles to avert a major indian war. 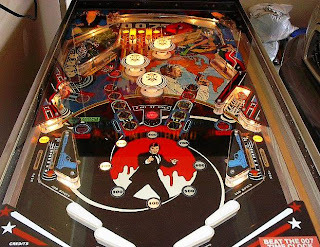 This is another great all action story. The real Kit Carson is a legendary figure and his comic book adventures surely must equal anything the great man ever faced in reality. Story number four is The Kansas Kid and the Frisco Racketeers. The Kansas Kid featured as a character in the second story, The Gun Crew. I'm thinking maybe that story was the character's first appearance and that he proved so popular that he was brought back as a titular character. This Kansas Kid adventure is once again excellent. So that we are 224 pages in and a very strong collection. Next time I'll be taking a look at the following nine stories and talking about other aspects of the book. PEOPLE DON'T READ ANYMORE - ??? ?